Where sessions are listed as “broadcast between…” this indicates that one track was aired each day, usually between Monday and Friday. At the turn of the millennium, the BBC launched the BBC Archive Treasure Hunt, a public appeal to recover pre-1980s lost BBC radio productions.Original material, featuring several popular programmes were lost due to the practice of wiping, because of copyright issues and for technological reasons. The resolution of this appeal was that over one hundred productions were recovered including the early BBC Radio live sessions. 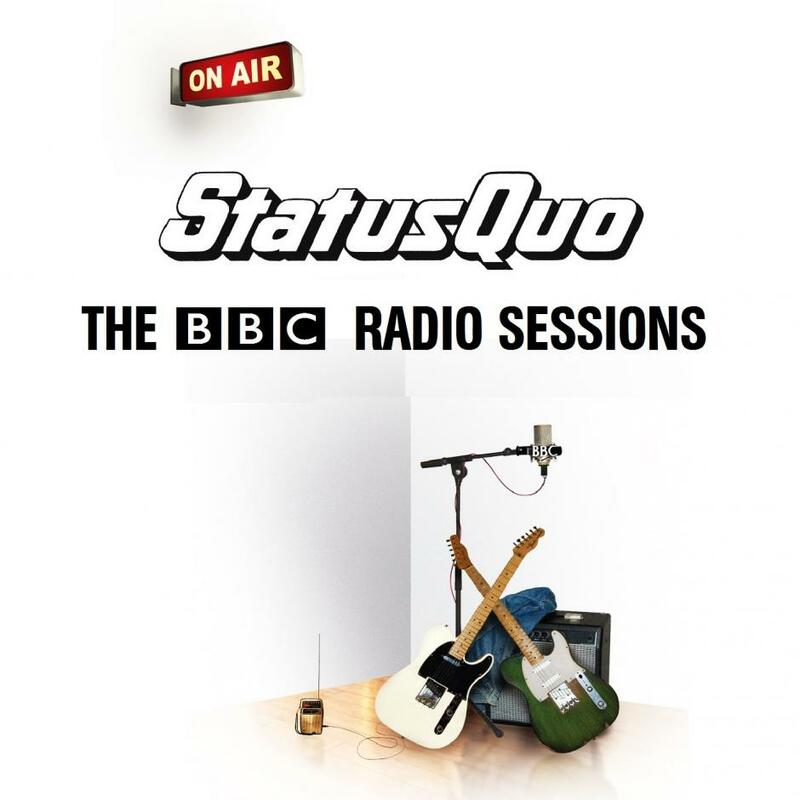 The BBC Sessions gives you the opportunity to broadcast unique, exclusive BBC studio recordings from the world’s top artists. Almost all performances are recorded live at exceptional sound quality in BBC studios, with some of the more recent Sessions being recorded in front of a live audience. BBC Sessions covers a wide range of artists from the 1960’s right through to the present day, with new material being added weekly. It was assumed that the programmes had been lost because the BBC's archive department had not kept copies of the original broadcasts. An appeal to listeners to hand over their recordings has, however, unearthed a treasure trove of tapes, some dating back to 1960. Bandmembers: Francis Rossi, Alan Lancaster, John Coghlan, Roy Lynes. Tracks: I Who Have Nothing / Gloria / Neighbour Neighbour / Bird Dog / Bloodhound. Bandmembers: Francis Rossi, Rick Parfitt, Alan Lancaster, John Coghlan, Roy Lynes. Tracks: Pictures Of Matchstick Men / Judy In Disguise / Spicks and Specks / Gloria. Tracks: Pictures Of Matchstick Men / Gentleman Joe’s Sidewalk Café. Tracks: Pictures Of Matchstick Men / Judy In Disguise / Spicks and Specks / Things Get Better. Tracks: Pictures Of Matchstick Men / Judy In Disguise / Spicks and Specks. Tracks: Black Veils Of Melancholy / Gloria / Bloodhound. Tracks: Black Veils of Melancholy / To Be Free. Tracks: Ice In The Sun / When My Mind Is Not Live / Paradise Flat* (*Guest Bob Young). Tracks: Ice In The Sun / When My Mind Is Not Live. Tracks: Make Me Stay A Bit Longer / Technicolor Dreams. Tracks: Make Me Stay A Bit Longer / Are You Growing Tired Of My Love / The Price Of Love. Tracks: Make Me Stay A Bit Longer / Sheila / Technicolor Dreams. Tracks: Are You Growing Tired Of My Love / The Price Of Love. Tracks: Are You Growing Tired Of My Love / So Ends Another Life. Tracks: The Price Of Love / Other Tracks unknown. Tracks: The Price Of Love / Little Miss Nothing. Tracks: Junior’s Wailing / Spinning Wheel Blues / Down The Dustpipe / In My Chair. Bandmembers: Francis Rossi, Rick Parfitt, Alan Lancaster, John Coghlan, Bob Young*. Tracks: Junior’s Wailing / In My Chair / Down The Dustpipe* / Need Your Love*. Tracks: Mean Girl / Railroad* / Nanana / Someone’s Learning. Bandmembers: Francis Rossi, Rick Parfitt, Alan Lancaster, John Coghlan. Tracks: Don’t Waste My Time / Paper Plane / Oh Baby / Unspoken Words / Softer Ride. Tracks: Don’t Waste My Time / Paper Plane / Softer Ride. Bandmembers: Francis Rossi and Rick Parfitt (Acoustic Set). Tracks: In My Chair / Caroline / From A Jack To A King / Down The Dustpipe / Railroad. Bandmembers: Francis Rossi, Rick Parfitt, Andy Bown, Rhino Edwards, Matt Letley . Tracks: Caroline / The Party Ain’t Over Yet / Whatever You Want / Belavista Man / Rockin’ All Over The World.